A new opening postdoctoral fellowship position in sustainable energy is available at Chalmers University of Technology, Sweden. Successful candidate will have funding to work and study for 2 years in Sweden. All candidates regardless of citizenship are eligible to apply before January 10, 2019. This postdoc stipend is a key position in a research program aiming at the development of smart self-assembly materials. The aim for this recruitment is to synthesize and characterize composite fibers for activation of small molecules such as hydrogen and carbon dioxide. Activation of small molecules is an important task as they could lead to applications within areas such as hydrogen storage and artificial photosynthesis. The candidate will be working within the Division of Organic chemistry which is a part of the Department of Chemistry and Chemical engineering at Chalmers University of technology. The department is well equipped and has all the necessary synthetic and analytical tools to carry out the intended program. 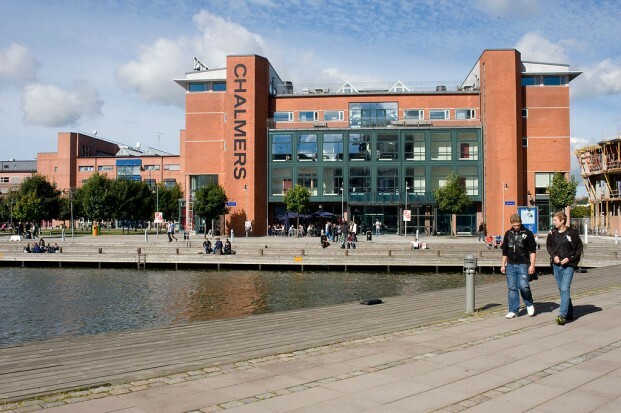 For example, Chalmers has two research facilities, Chalmers materials analysis laboratory and (CMAL) and Chalmers mass spectrometry infrastructure (CMSI) that have state of the art collection of instrumentation and technical support that can assist the project. The main focus of the project is organic synthesis of small molecules, and their characterization by e.g. NMR but simpler optical spectroscopic and rheological characterization will also be part of the project. The fibers will be analysed with electron microscopes and other suitable analytical techniques. This gives an excellent opportunity for the candidate to both develop their synthetic skills and learn new techniques and procedures. Full-time temporary employment. The position is limited to a maximum of two years. We are looking for a PhD with extensive experience in organic synthesis, with a strong interest in developing these skills further and who is willing to take on rheological and materials characterization challenges. The successful candidate should be a highly motivated, quality conscious individual with a PhD in fields related to synthetic organic chemistry. You should find it motivating working both alone as in close collaboration with others. As Chalmers is a highly international environment, proficiency in written and spoken English is necessary. As this is a stipend position your PhD exam cannot be older than 2 years due to tax reasons. The ideal candidate for the position has a strong background in an organic chemistry discipline such as, total synthesis, catalysis and supramolecular chemistry. The candidate should be able to handle sensitive reagents and have experience of working under inert conditions with techniques such as Schlenk line and/or glovebox. Additional experience with techniques that will be of significance for the advancement of the project are, rheology, optical spectroscopy, microscopy (optical end electron), gas sorption and x-ray diffraction and these will be taken into consideration during the evaluation process. The application should be marked with Ref 20180653 and written in English.